Hello, my name is Maureen Brown, I am a family law solicitor based in Kettering, who specialises in dealing with legal issues arising from relationship breakdowns. This section of the site is only intended to give general guidance. Anyone involved in a divorce will inevitably worry about his or her relationship with any children of the marriage, where they will live and how much time they will spend with which parent and whether there must be a Court hearing over residence and contact. Until the Children Act 1989 came into force, there was always an order in respect of the children of a marriage even though, frequently, the parents were able to agree matters. After the Act came into force, the Courts became less busy with this type of order, which was often dealt with by consent between the parties. The Act also changed the terminology for good reason. The old types of order were not all that people believed. These govern the rights and responsibilities of a parent. Such an order does not give the parent with whom the child is not living the chance to interfere with the day-to-day regime and upbringing of the child but it does carry with it the right to be consulted about major events and decisions concerning the child. These might include the religion within which the child is brought up, the type of education that the child receives, serious medical issues and consent for the child to marry before reaching 18 years of age. Remember that if you are a married parent you automatically have parental responsibility and no order or agreement is necessary. If you are not married you can obtain parental responsibility by agreement with the other parent or by applying to the court. The ‘residence’ aspect of the Child Arrangement Order can last up until the child reaches 18 years of age, unless discharged by the Court or through the making of a Care Order. It is usually made in favour of one parent but can be granted to another family member or more than one person. If this is the case, it is likely that both parents will be able to co-operate over the child’s upbringing. The ‘contact’ aspect of the Child Arrangement Order, in contrast, lasts up until the child reaches 16 years of age, unless in exceptional circumstances. There are numerous variants to this term however. ‘Staying Contact’ for instance, involves the child staying with the non-residential parent for short breaks at weekends or longer periods on holiday. ‘Visiting Contact’ on the other hand involves seeing the child for the day either at home or on a trip out. ‘Indirect Contact’ is sometimes required if there are concerns over whether it is safe or appropriate for the child to be alone with the parent. This particular type of contact is also appropriate where there has been a long period of separation and the child has grown apart from the non-residential parent. Child Arrangement Orders are not compulsory when arranging access to your child, but will become so if parents are unable to agree terms. These were introduced by the Act and are, in effect, an injunction to stop a parent from doing anything that is considered not to be in the child’s best interests. A non-residential parent with parental responsibility could, for example, apply for such an order if the residential parent was not acting in the child’s best interests or making decisions about the child’s education/religious upbringing or holidays that was not agreed by the other parent/guardian. It can make such an order if the parent was intending to remove the child from the other parents care, or even out of the country. The Court can be asked to make decisions regarding the child’s upbringing, if the parents/guardians cannot agree, such as the child’s education, religious upbringing, medical treatments and holidays. When Will The Orders Be Made And How? The primary consideration in any matter concerning children is the best interests of the child. It has been recognised that the child’s best interest are not served by having court orders relating to them however amicably the parents have applied. Therefore, the Act stresses the “non intervention principle”. If no order is necessary, none will be made. It is for that reason that, in a divorce, the Judge will consider the Statement of Arrangements for the Children. If the Judge is satisfied that the arrangements are reasonable a certificate will be issued with the certificate of entitlement to a decree absolute of divorce. The certificate simply confirms that the Judge does not believe that any order is necessary. If there is a dispute over the children, the parent who wants an order must apply for it in separate proceedings and the Court will give directions about what is to be done to bring the application to a final hearing. If you are a parent involved in a divorce or other relationship breakdown there are steps that you can take to protect your, and your children’s position. Try to avoid getting into arguments about the children. Certainly, do not try to use them as a lever to obtain a better financial settlement and do not involve them in your difficulties within the relationship. Think about what is best for them. You may well want them to live with you but are you able to look after them properly? Do you have a lifestyle, job and income, which allows you to be there when you are needed? Are you really thinking about the children or are you thinking about what you want (or what your former partner does not want)? Think everything through carefully before you adopt a position. If you are reasonable in what you think should happen you might find that things fall into place fairly easily and that no legal proceedings are necessary. If that does not work, think about counselling or mediation and make inquiries about what services are available in your area. Find out if there are charges for mediation and whether public funding/legal aid is likely to cover these. If you can arrange mediation without lawyers becoming involved try to do so. The mediator is not there to make an order or to impose a decision on you. Instead, the process of aimed at finding common ground, the real problem and a solution, which you can either accept or reject. The procedure for a dispute under the Children Act is simple but the law is not. The overriding consideration is the welfare and best interests of the child. The Court will also consider other factors such as the age and background of the child and whether the child is at risk of any harm. The check-list is too long to examine in detail but at the very top of it is the child’s own wishes. A child old enough to express his or her wishes accurately will be listened to but younger children may not be capable of saying, or even knowing what they want. It is not at all unusual for a child to want to tell both parents what they want to hear. “I love you Daddy. I wish I could live with you” could be the child’s way of trying to reassure the father that he may be gone but that he is not forgotten. It could equally well mean “Mummy won’t let me stay up to watch TV and won’t buy me the latest Play Station game so I want to stay with you and get those things”. Already the issue of what the child wants is getting complicated. The child will not be brought to Court to give evidence. That would not be in its best interests. Instead, at the first hearing of the application (whatever it might be for) the Judge’s directions will include an order appointing a Catcass Officer to prepare a report for the Court setting out what is best for the child. The Catcass Officer will carry out investigations and interviews with both parents individually, the child on its own, if old enough, and the child with both parents. The Catcass Officer will then prepare a report which will recommend what is suitable. Taking your instructions to identify the issue and the type of order you need to apply for. By paying a fixed fee you can be satisfied that there are no unexpected costs. The fixed fee is not appropriate if your case involves particularly complex issues, nor does it cover work that is required beyond the initial hearing. As there are so many ways that a case can be dealt with we will need to provide you with a detailed estimate of costs in these circumstances. 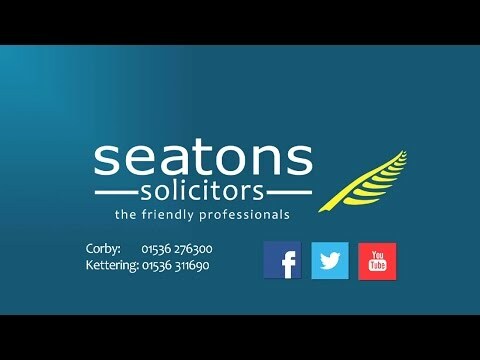 Should you wish to discuss matters further before sending an enquiry please book a free telephone consultation with one of our experienced family law solicitors. It should be noted that a court will have expected an individual applying for any type of order relating to children to have firstly explored the possibility of Mediation as a means of resolving their dispute.